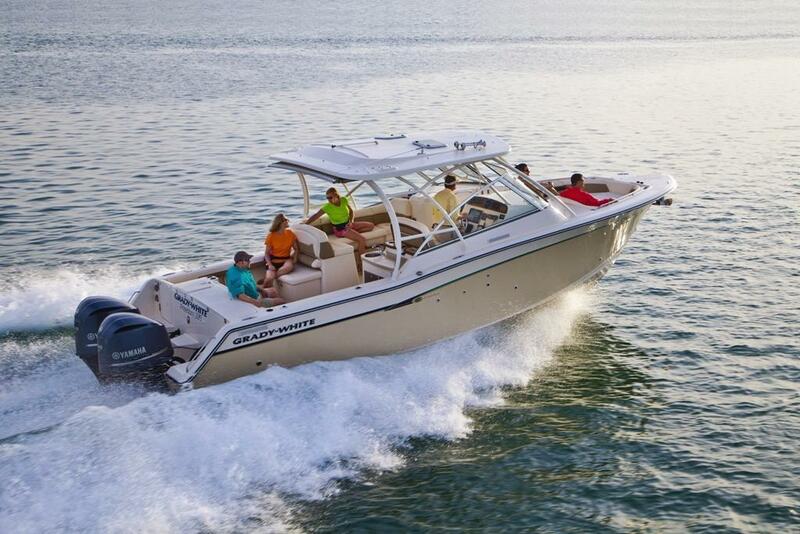 2017 Grady-White Freedom 335 The Freedom 375 is the ultimate transformer, a 37-foot dual console that goes from one on-and-in-the-water activity to another seamlessly. With plenty of room for a crowd, and comfort to satisfy the most demanding customer, the Freedom 375 is a superb offshore fishing boat and a wonderful cruise boat, perfect for socializingan amazingly engineered boat of extraordinary style. 2017 Grady-White Freedom 335 Cruise in ultimate comfort, fish in style: the 33-foot Freedom 335 is the next-generation dual console boat. Its a superb saltwater offshore sportfishing boat, filled with creature comforts from deluxe bow seating to separate cabin and head console areas, to helm and cockpit deluxe seating. The result is an amazing balance of ruggedness, luxury, and thoughtful design. 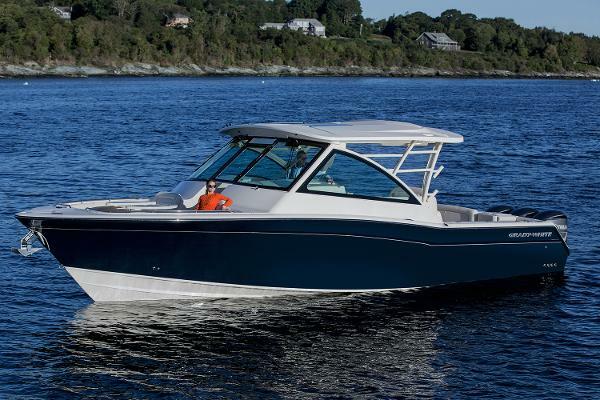 2016 Grady-White Freedom 335 Cruise in ultimate comfort, fish in style: the 33-foot Freedom 335 is the next-generation dual console boat. It’s a superb saltwater offshore sportfishing boat, filled with creature comforts from deluxe bow seating to separate cabin and head console areas, to helm and cockpit deluxe seating. The result is an amazing balance of ruggedness, luxury, and thoughtful design. 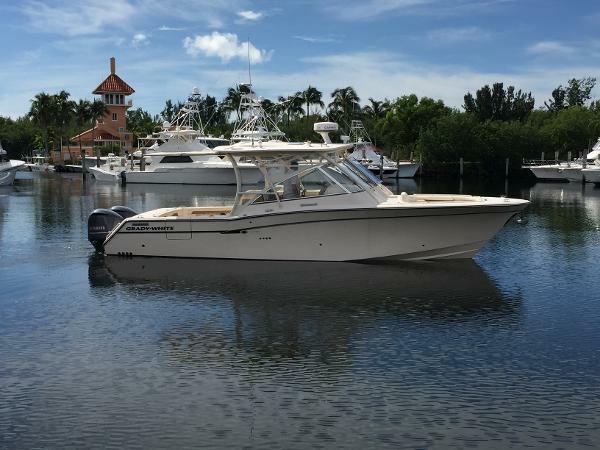 2014 Grady White Freedom 335 Cruise in ultimate comfort, fish in style: the 33-foot Freedom 335 is the next-generation dual console boat. 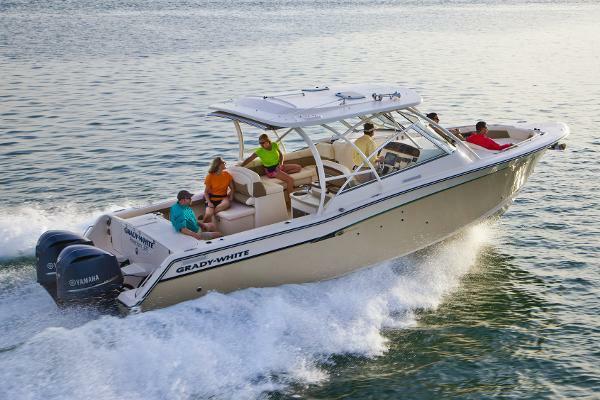 It’s a superb saltwater offshore sport fishing boat, filled with creature comforts from deluxe bow seating to separate cabin and head console areas, to helm and cockpit deluxe seating. The result is an amazing balance of ruggedness, luxury, and thoughtful design.Engines have Yamaha Extended Warranty until March 2019! Annual Generator and Engine Service as well as new Bottom Paint in August 2015. 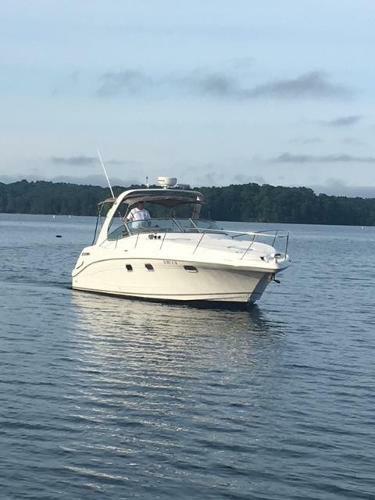 2015 Grady-White Freedom 335 This 2015 Grady-White Freedom 335 is as new a used boat as you will find. 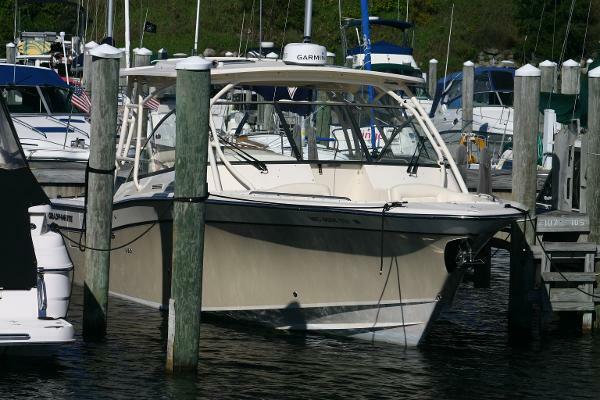 Lightly used in the northern waters of Lake Michigan this Freedom 335 will save you money and get you on the water without waiting for the new boat order. This is a new listing. Additional specifications and actual photos are forthcoming.